This is the part where I’m going to embarrass myself. But in the process, I think I’ll find a new tribe of queso-lovers. Back in early February, I met some girlfriends for dinner at a new restaurant in San Antonio called Tacos and Tequila. It’s a joint out of Austin and they are expanding into other cities and I’m so glad they chose San Antonio. We sat down, ordered a round of drinks and a bowl of their queso. They delivered the drinks, and dropped the queso down with a bag of corn tortilla chips and sweet potato chips. An interesting, yet delicious combo. I took one bite of the queso and immediately declared it the best I’d ever had. This is no exaggeration. It really is the best queso I’d ever had. Not only was it ‘queso blanco,’ but I could see and taste the bits of poblano pepper and the onion. The onion. The onion is what made this the perfect queso ever. I can still taste it now, even as I type this. So in the name of quality control & ‘copycat recipe’ research, I ordered another bowl. Yes, there were street tacos mixed into the meal too. True story: we had 3 bowls of this queso among 4 of us. Yup, there we sat…me and my 3 dear friends…practically drinking this queso out of the bowl. 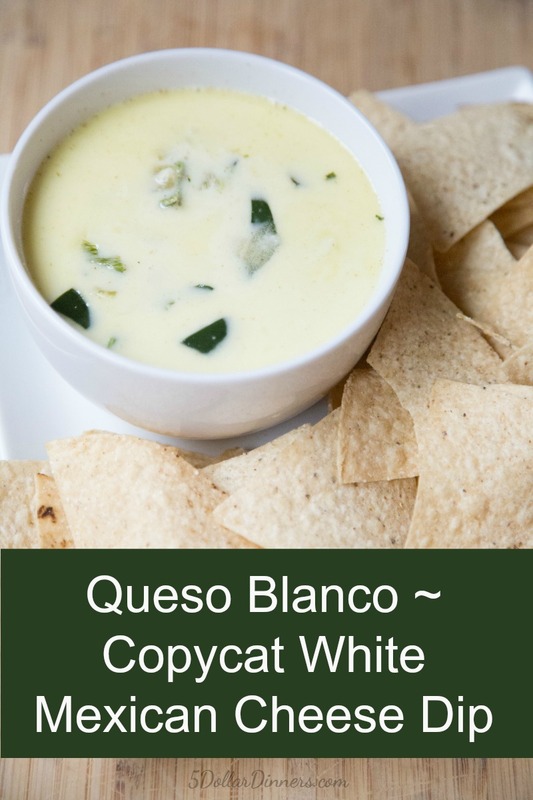 We ended up enjoying a lovely taco-queso filled meal before heading over to the rodeo, and I’ve been on a mission ever since to perfect this ‘copycat’ recipe for TnT’s Queso Blanco. 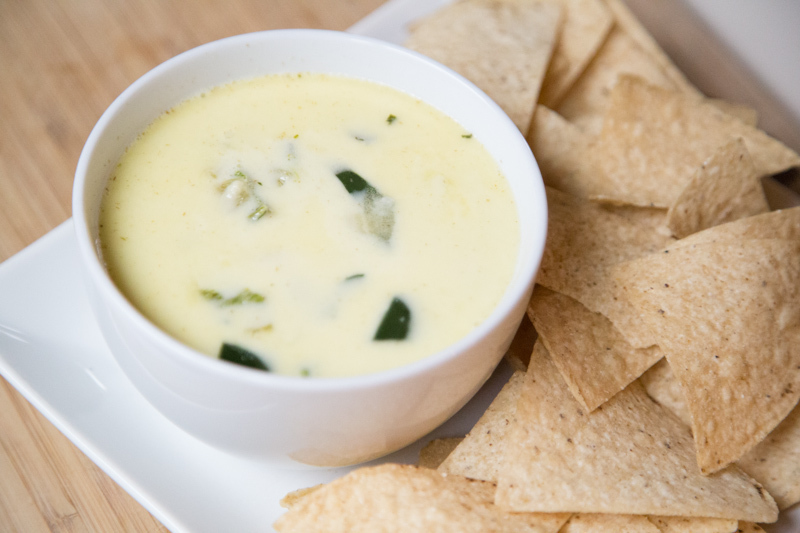 Oh, and Fiesta in San Antonio starts soon…I’ll be celebrating with a couple bowls of this queso blanco…and hitting a few of our family’s favorite events. VIVA FIESTA! You’re gonna need a double boiler, or a small 1 1/2 or 2 qt. slow cooker/dip cooker. 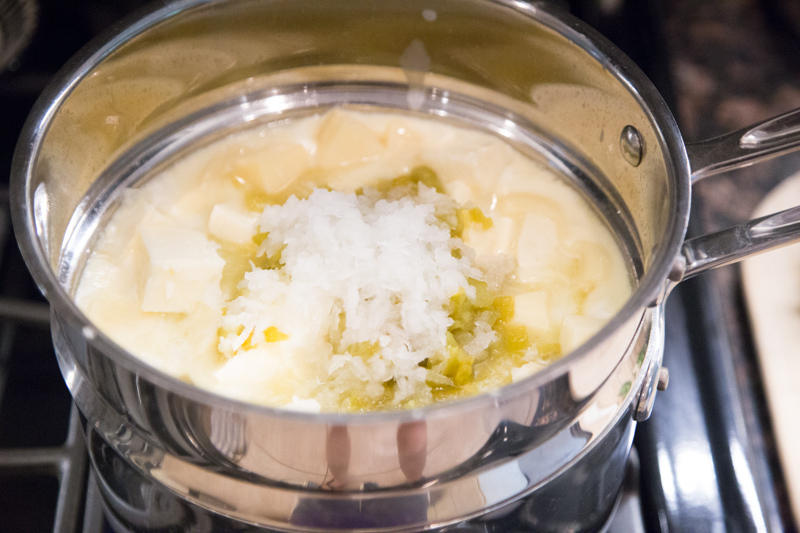 Add the chunks of cheese to the double boiler/slow cooker and turn on low. 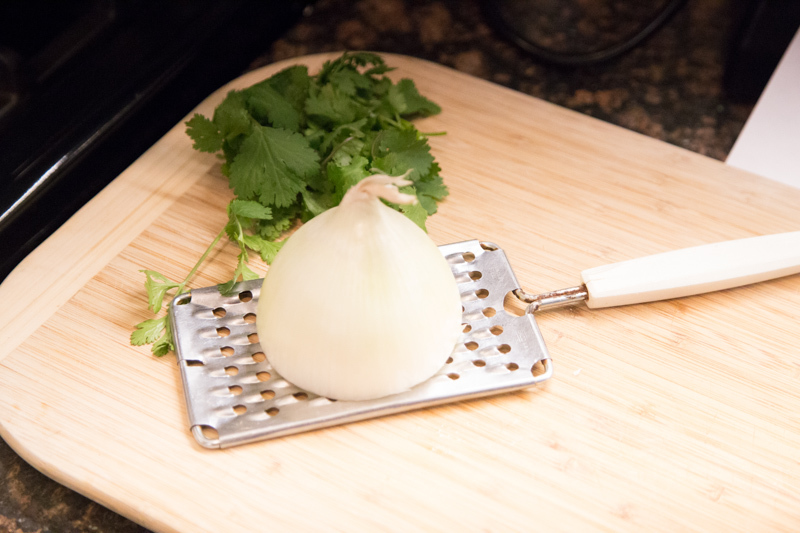 Grate 1/2 large white onion, or small white onion. Right over top of the pot. You can all the juices from the onion falling into the pot. See…see why this is the best queso I’ve ever had. 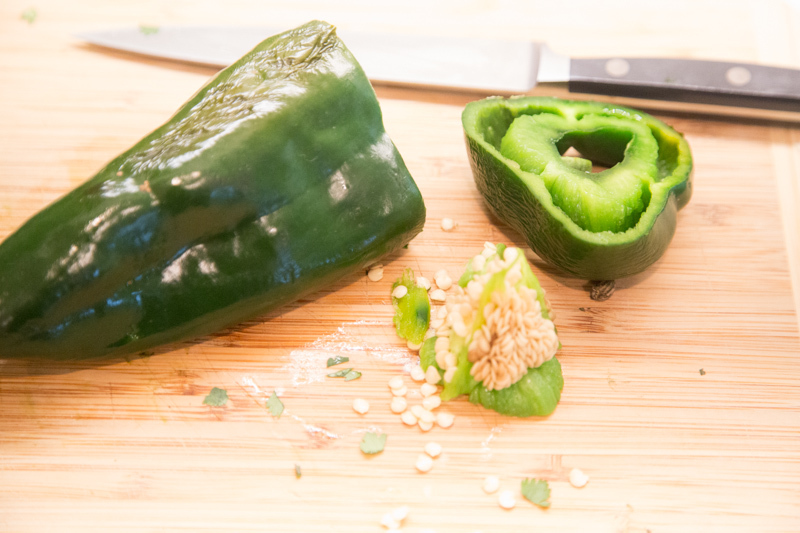 For the roasted poblanos, you’ll want to lop off the top and pull out the seed bundle. Then dice it all up. Drop it in with some garlic powder and salt to taste. 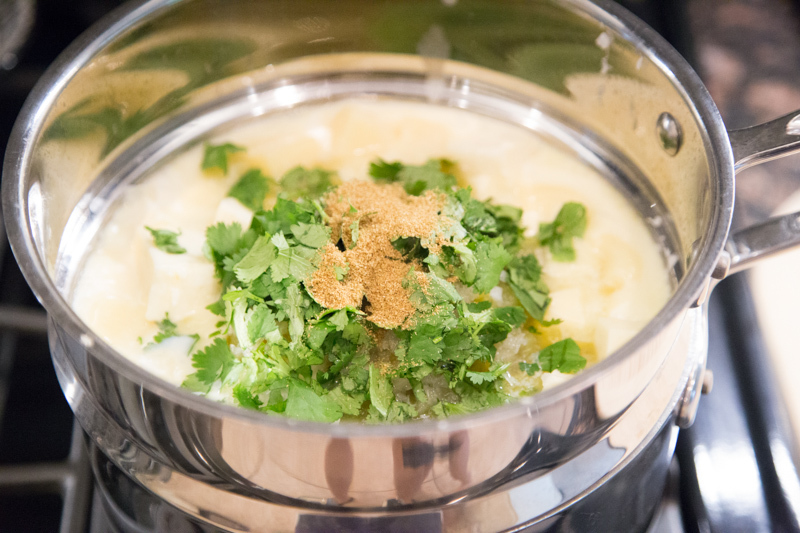 Let it simmer for a bit, so the flavors will marry up perfectly! And please, try not to drink it straight out of the bowl! Roast for 15-20 minutes. Then let cool slightly, before seeding and dicing. 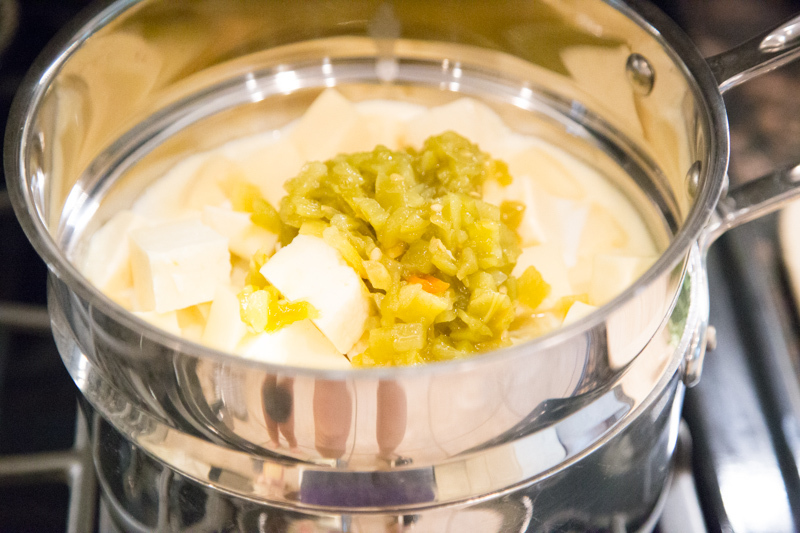 In a double boiler or mini slow cooker, add the chunks of cheese with the green chilies and grated onion. 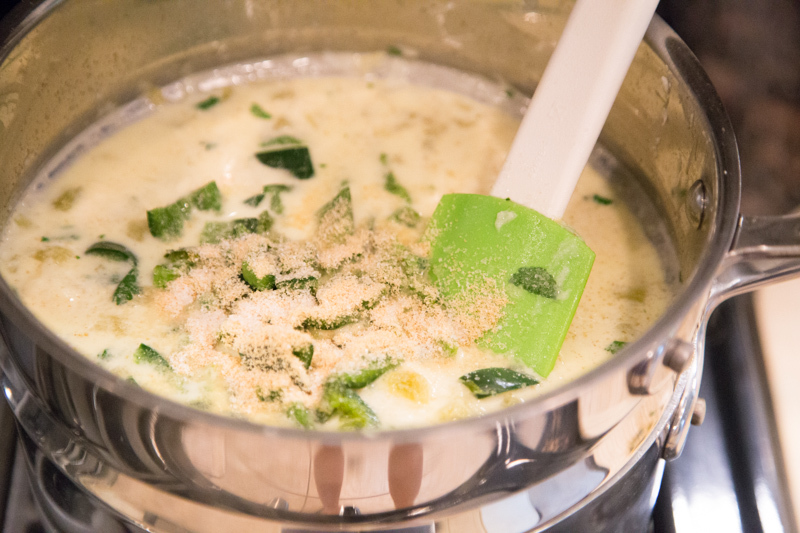 Stir in the cilantro, ground cumin, followed by the diced poblano pepper, garlic powder and salt, to taste. Let simmer in the double boiler until completely melted and smooth, or cook on low for 2 hours in the mini slow cooker. Serve Queso Blanco with corn tortilla chips. White queso dip is one of my very favorite things. Thanks for the recipe! I tried this recipe and the flavor was great but I could not get the Monterey Jack cheese to melt. What did I do wrong?